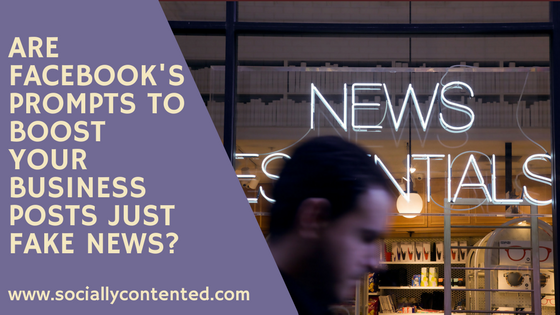 Heard about ‘fake news’ and the trouble Facebook and other social media platforms have been getting into for publishing it? Due to all that trouble, they are, quite rightly, taking steps to make it harder for ‘fake news’ to be published. However, there’s a different kind of what we might call ‘fake news’ Facebook is still publishing, countless times a day. 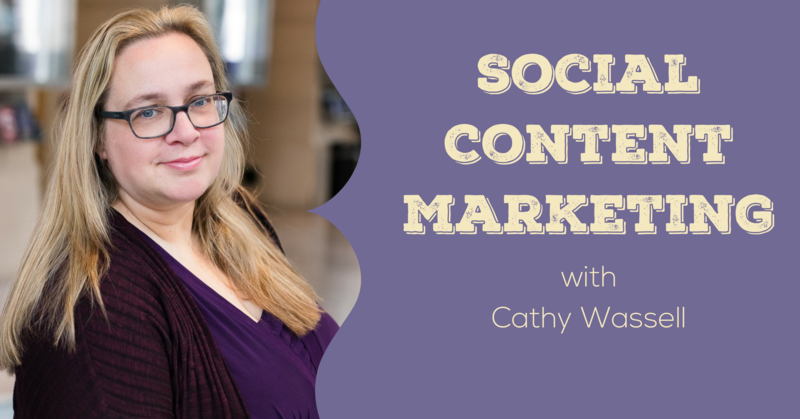 Do you have a business page on Facebook? 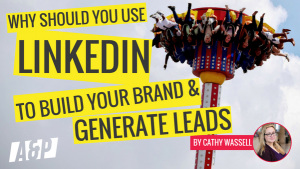 If you have a business, chances are you will have paid to advertise on Facebook. If you haven’t, you may need to soon in order to get your posts seen. Facebook has been a Pay to Play platform for a while now, but the new algorithm will really enforce it and when you speak to someone at Facebook Ads now they are very open about it. So let’s all just admit that most businesses will need to spend money now to enjoy good reach on Facebook. Good. We’ve got that out of the way. 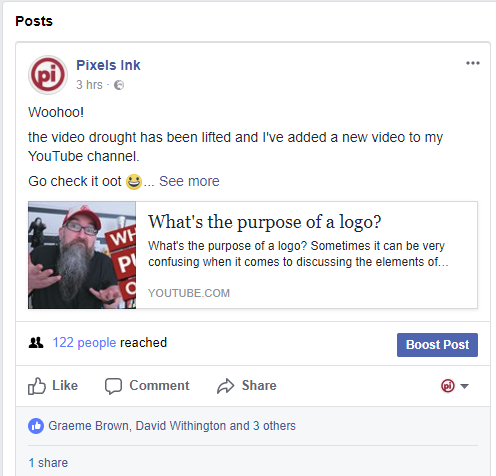 Now, assuming you post on Facebook, whether you have already used Ad Manager or not, it is likely that you are seeing messages telling you to boost your posts. Have you ever received a message like this from Facebook? Perhaps you receive so many you’re immune to them now. After all, there are many ways Facebook likes to get money out of us. And fair enough, they are a business. But what if the suggestions start to become a little more persistent? 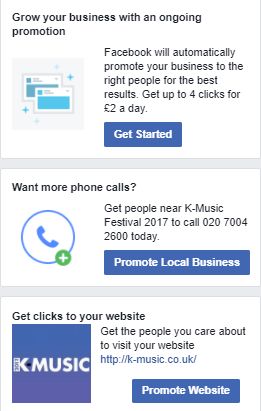 Is it right to keep sending these messages when many business owners don’t actually understand what they are doing with Facebook Ads? It’s not always fake news. This one was relatively accurate (although 90% of how many posts? How far do we go back? ), and if the post weren’t so time sensitive I might have used it in an ad. 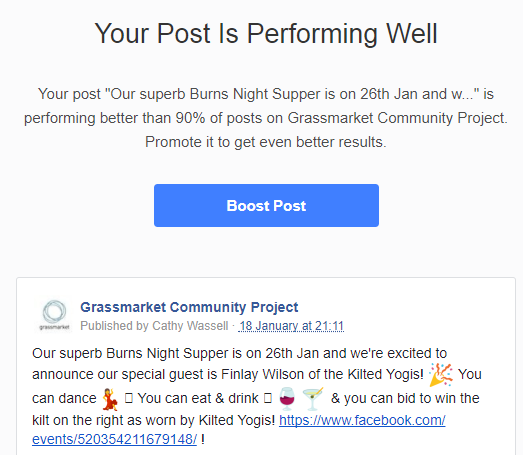 However, it would still be better to go in via Facebook Ad Manager where are there are better targeting options than to boost it as Facebook suggests here. Some messages, however, are just plain wrong. How about this one sent to me by designer Col Gray of Pixels Ink. At first viewing it looks OK doesn’t it. 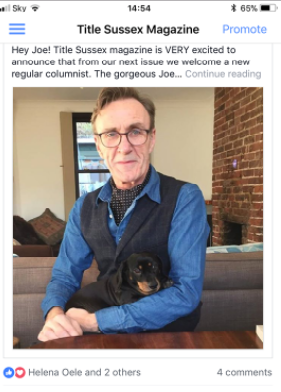 Facebook is just suggesting that he boost this post. But compare it to the actual post. Look at the engagement figures: they are completely made up. It’s like telling you to bet on a horse because it’s won the last 10 races when in fact it came last. Or what about this type of prompt where Facebook suggests you boost a post when you’ve only just posted it. Social Media Manager Teresa Hunter wasn’t too pleased to get messages like this. 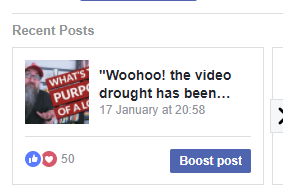 And then we get to more ‘fake news’ – a prompt to boost from Facebook telling you it’s doing better than most other posts on your page – but you’ve literally just posted it. Sorry Facebook that’s not only untrue but impossible. 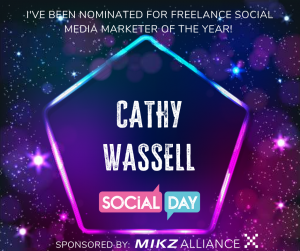 This post was created by Social Media Manager Gemma Windham, and she received this message from Facebook just minutes later. It’s just not true. When I surveyed my LinkedIn connections, everyone who replied had received messages like this. Multiple people were concerned that small business owners would be swayed by Facebook’s prompts and put money behind these posts. And maybe they will be successful, but they would undoubtedly be more successful if they were planned in a more strategic and targeted way. Respondents expressed concern about the questionable ethics of bombarding people with these made up percentages. I appreciate Facebook trying to make it easier for people to advertise without needing to negotiate the somewhat confusing and complicated Ad Manager, but unfortunately this means they are throwing money at a problem without understanding it or planning a strategy for it. I would always advise business owners in this case to either teach themselves how to navigate Ad Manager or to employ a professional to do it for them. What are your thoughts on this subject? Are you #TeamFacebook or #TeamFakeNews? I’d love to hear from you. You can either comment here or send me an email. If you would like to understand Facebook Ad Manager better and create well targeted, successful ads, have a read of How to Create the Perfect Facebook Ad and How to Find the Right Audience for Your Facebook Ad. And if you would like to learn more about creating engaging social media posts why not join my Facebook group?